I have known Joey for a number of years. My first introduction was when he came to Roarockit to learn about vacuum bagging. Joey lives in Ottawa Canada and is well know in his community for organizing weekly skateboard events that bring local riders together. 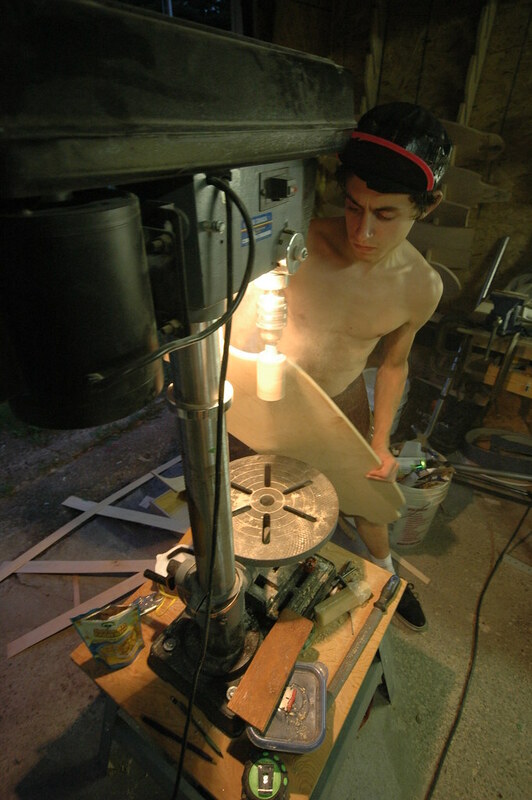 What got you into building skateboards? I started building about four years ago and at the time I was an avid downhill fish board rider. I loved the trash feel of a fish board, but wanted something that felt a bit more like a snowboard, so naturally long boarding came to my mind. I could have gone to the store and bought one, but I felt inclined to start building. So with some research my first ride on a longboard was on one I had built. Good friend Paul Bertrand and I started building boards together. Our first attempts were definitely creative, but wacky and really not very efficient. Then we stumbled on to the vacuum bag process and it all came together quite quickly. As you are an avid snowboarder are your deck making designs influenced by snowboards? 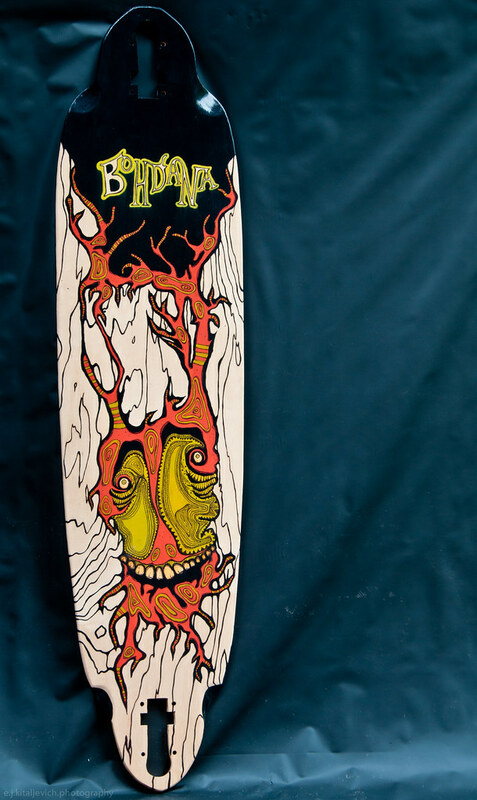 Snowboarding has definitely influenced Bohdana Boards. From the start we wanted to get the feel of a snowboard out of a skateboard, that dynamic, progressive flex and deep carve feel. Do you experiment with new materials or processes? Our goal is to do the most with less. For the last four years we have been reluctant to experiment with fiberglass and composites. There is so much potential with wood that can be unlocked that normally would be overseen once fiberglass is used. We began experimenting with different flex patterns and also understanding rebound. 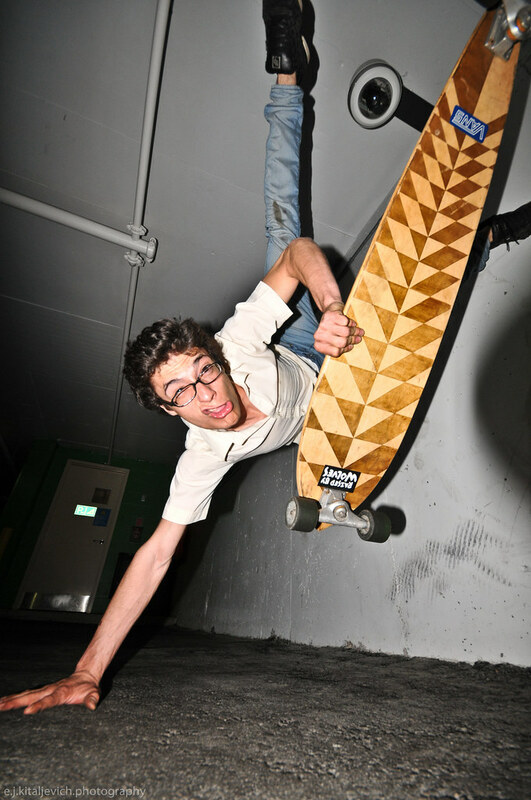 This involved the physical properties of wood and its relationship with skateboard building and has meant really getting our heads into every angle and millimeter of our molded curves. It has been a long process with a ton of failures but now we’re hitting our success! The boards we are making (like the Bohdana YAY and YAY.0) are designed to have carve that allows you to feel more board and less truck. Too often the trucks do all the work while carving, totally disregarding the dynamic turning radius of a properly flexing/rebounding board. There is nothing like riding one of these boards. Do you build boards all year? We always do our best work in the winter. It is a great time to develop new ideas because there are fewer distractions and you can really get your head into what you’re trying to accomplish. 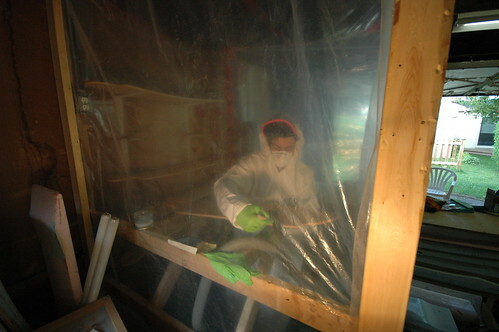 It is hard to find a weatherproof, year-round workshop so our shop moves around quite a bit. Usually it’s at the last minute that shop space falls into our laps. This year, we will leave it up to the universe to decide. What type of promotion do you do to let people know about Bohdana? I noticed that there are huge numbers of new long boarders around these days and since they don’t hang out at skate parks there are really no social gathering spots for them. 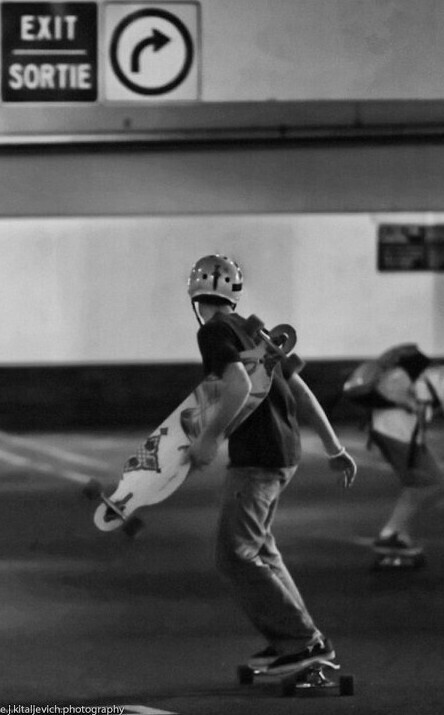 Because of this, Bohdana Boards organize weekly gatherings to bring long boarders from the surrounding areas to ride different locations in the city of Ottawa. This has been a really inspiring experience for me as every week I learn about other styles of riding which I can then adapt when creating and building new board designs. Meeting so many people and making so many new friends makes organizing these rides worth more than I can describe. Way to go! Nice boards!